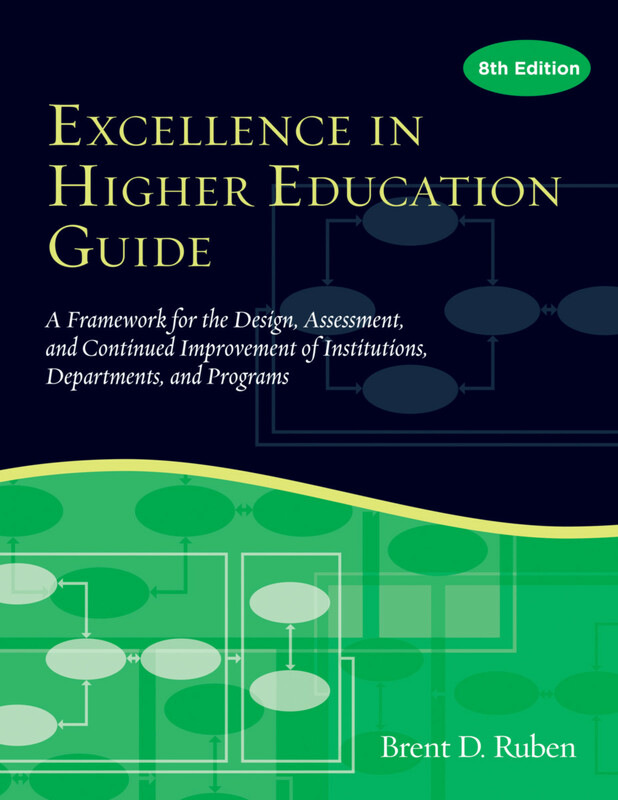 The new (eighth) edition of the Excellence in Higher Education Guide: A Framework for the Design, Assessment and Continuous Improvement of Institutions, Departments and Programs updates and extends the classic EHE series. This edition includes a broad and integrated approach to design, assessment, planning, and improvement of colleges and universities of all types, as well as individual academic, student affairs, administrative and services units. The framework included in the Guide is adaptable to institutions and units with any mission, and is consistent with the current directions within regional and programmatic accreditation. Based on the Malcolm Baldridge National Quality Award framework, this bestseller is the definitive tool for college and university administrators. The flexibility of the EHE model makes it appropriate for use with administrative or academic departments, with administrative or faculty councils or senate, and with programs, centers, or institutes. Moreover, the framework can be used by an entire college or university or with a particular department, division or campus. The eighth edition series also includes a Workbook and Scoring Instructions (available in print and electronic format) and Facilitator’s Materials (available only by download). The Guide is also sold as an ebook bundle with the Facilitator's materials. Brent D. Ruben is a distinguished professor, and executive director of the Center for Organizational Development and Leadership at Rutgers University. He is also a member of the faculties of the Rutgers Ph.D. Program in Higher Education and the Robert Wood Johnson School of Medicine. Brent’s academic interests include human communication, organizational leadership, planning, assessment, and change. He is author of numerous publications including Excellence in Higher Education Guide, What Leaders Need to Know and Do, and Communication and Human Behavior (with L. Stewart). Brent was a founder of the Rutgers School of Communication and Information, and served as a department chair and graduate program director. He is Rutgers liaison to the CIC leadership programs and he serves as an adviser to colleges and universities nationally and internationally.